Elizabeth allowed and supported the pirate attacks against Spain in peacetime and also assisted the Flemish rebels against their legitimate king Philip II. All in all she was the instigator of the war. Once it had begun she recognised the enormous opportunity that presented itself after the Spanish Armada, and rightly embarked upon the general mobilization of her country in order to raise the English Armada. She established clear objectives, the most fundamental of which was the destruction of the Spanish Armada that was under repair in Santander. Her greatest mistake was to leave the ill-fated preparation of the fleet to private initiatives and in the hands of Drake and Norris. The men she appointed did what they knew best, undertaking a pirate expedition in the search for booty. It was of no consequence that the expedition was the greatest ever put together. 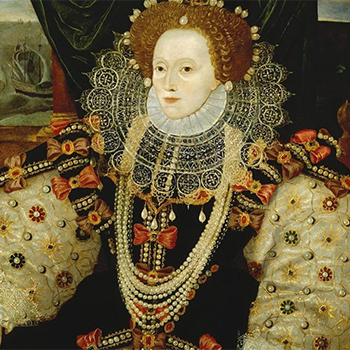 The English Armada was never anything other than a pirate expedition and its commanders ignored the instructions of the Queen when it suited them. She would have done better to have appointed as head of the expedition some high-ranking courtier who would have sole command, not betray its objectives and not lead it to disaster.